It is such a exhilarating experience to put on a gown. I have never ever thought that I would one day be able to be in one, at least not so soon! I’m not getting married though. My Dream Wedding and I have teamed up for a series of collaboration in creating contemporary wedding visuals. 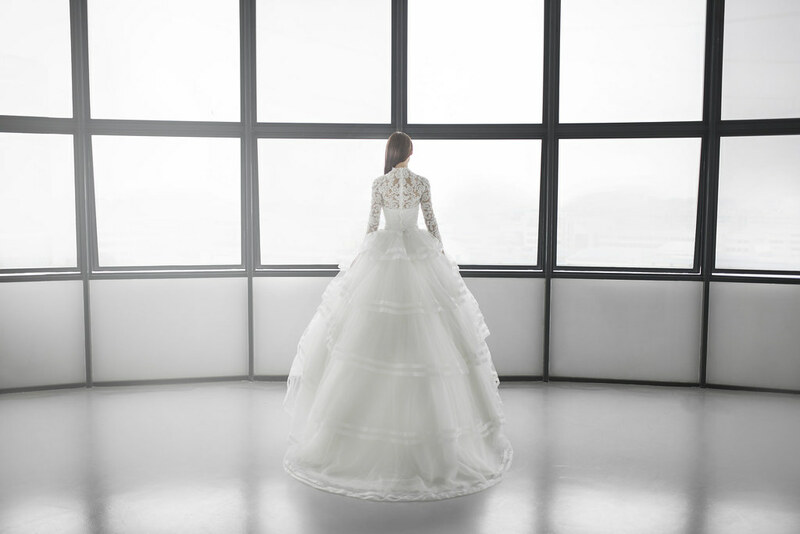 My Dream Wedding is originated from Hong Kong and is a renowned regional-focused bridal boutique. The company’s objective is to grant people the dream wedding that they envisioned. They seek improvement and new ideas constantly and do not hold back in experimenting new concepts. This is why it was possible for me to give my ideas and perspective to My Dream Wedding about what I envision a contemporary wedding to be like. They are open to know and understand what an individual wants. No additional props were used. The focus is to give a futuristic; almost laboratory like of ambience and the make up was created to give a bold and cold look. This is something most people would not think of when the word wedding pops out. Instead of the usual happy and cheerful vibe, what I wanted to express/convey is the character. Every individual is different in their own ways, some people are all sunshine and always in a cheerful mode. Some are stern and cool. To me, a wedding portrait should portray the true image of an individual and thus the concept. The series is created solely based on my dream wedding (literally). If I am going to get married, my wedding portrait would probably along the line! 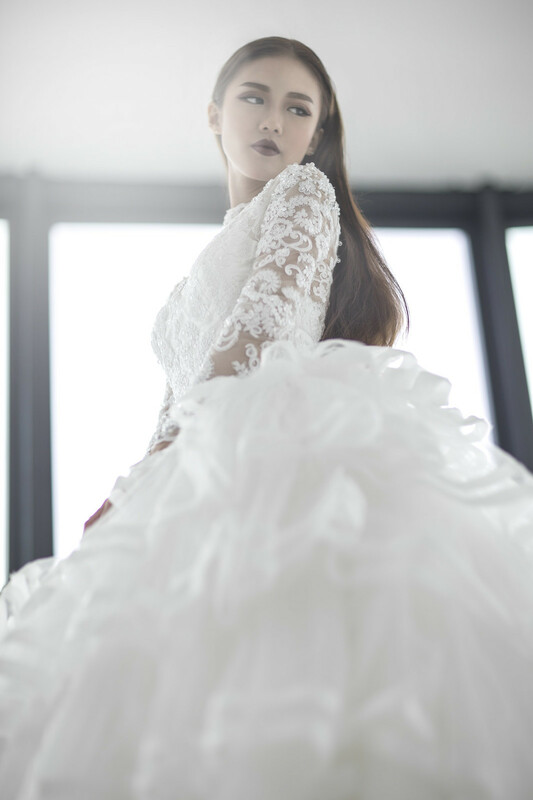 This dress is the first that caught my eye the very moment I step foot into My Dream Wedding’s beautiful shop house office at 33 Tras Street. The embellishments on those mesh sleeves is simply gorgeous! To sum up, my experience with My dream Wedding, it has been great and I was able to truly express my concept with the openness and efficiency of the team. My Dream Wedding and I will be working on a couple more series of visuals so stay close!